Does an awards show need suspense to be entertaining? The way the Academy Awards unfolds every year – making minor celebrities out of pasty-faced accountants who walk the red carpet with a briefcase full of top-secret winners’ envelopes – you’d certainly think so. But on Sunday night, only one week after the latest bloated Oscars telecast took 218 minutes to belly across the finish line, the Canadian TV and film industry delivered a sharply ribald, warm-hearted, self-mocking – and blessedly economical – two-hour celebration of itself known as the Canadian Screen Awards. 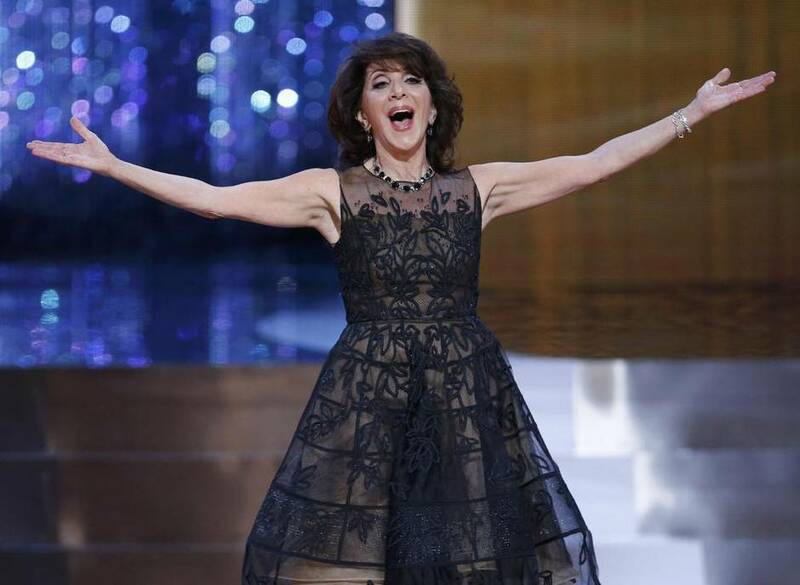 The show, which is our version of the Emmys and the Oscars, all rolled into one, cared so little for suspense – it aired live in the Atlantic time zone and then was broadcast on tape delay across the country – that news stories about the winners were online even before viewers in the West caught the filthy opening seconds of host Andrea Martin’s monologue. Martin had been setting the self-deprecating tone for weeks leading up to the awards, which aired on CBC-TV. Commercials featured her boasting that, as the show’s host, “I get to dress up like a fairy princess, with glass slippers and sparkly jewels!” – before being interrupted by a fellow, apparently from a costume rental agency, telling her it was time to hand back her necklace and dress. “Can I keep the Spanx?” she snapped bitterly. Self-mockery is a natural fit for Canadian TV and film, which struggles in the shadow of the far richer, noisier, globe-straddling U.S. industry. Besides, the Academy of Canadian Cinema and Television can’t afford slick Oscar-style production numbers for its awards shows. But who needs ‘em when Andrea Martin comes ready and willing to play, and she’s backed by a handful of writers who know how to keep things moving? The broadcast began with Andrea Martin, in a limousine on her way to the Four Seasons Centre for the Performing Arts in downtown Toronto, paying fulsome tribute to the industry. “Tonight, we shall change the world of cinema, we shall anoint the most brilliant amongst us. Prestige, elegance, glamour – that’s what this night is about. Here we go!” she declared, before stepping out of the car – and promptly falling on her face on the red carpet. While too many awards shows suffer from stiff presenters who take themselves far too seriously, the CSA presenters wore their assignments lightly. Bruce McCulloch (Kids in the Hall, Young Drunk Punk) and Meaghan Rath (Being Human) each admitted they had no idea who the other was. (McCulloch told her: “My show is on Rogers.” She replied: “Oh, is it hockey?”) Later, Eugene Levy and his son Dan had a spiky squabble about the cliché of every nominee truly being a winner. Though Andrea Martin joked that, at age 68, “it’s nice to be under white lights and not walking toward them,” her energy and timing remain impressive. In one pre-taped segment, a send-up of Celebrity Big Brother Canada that put her in a house with Lloyd Robertson, chef Susur Lee, and pundit Andrew Coyne, she shimmied and pouted and strutted around, trying without success to incite some nastiness among her fellow contestants, who preferred to engage in mild discussion about politics. Another skit saw Martin reprise some of her classic characters – including Edna Boil and Edith Prickley – while apparently auditioning for the lead role of the clone drama Orphan Black. 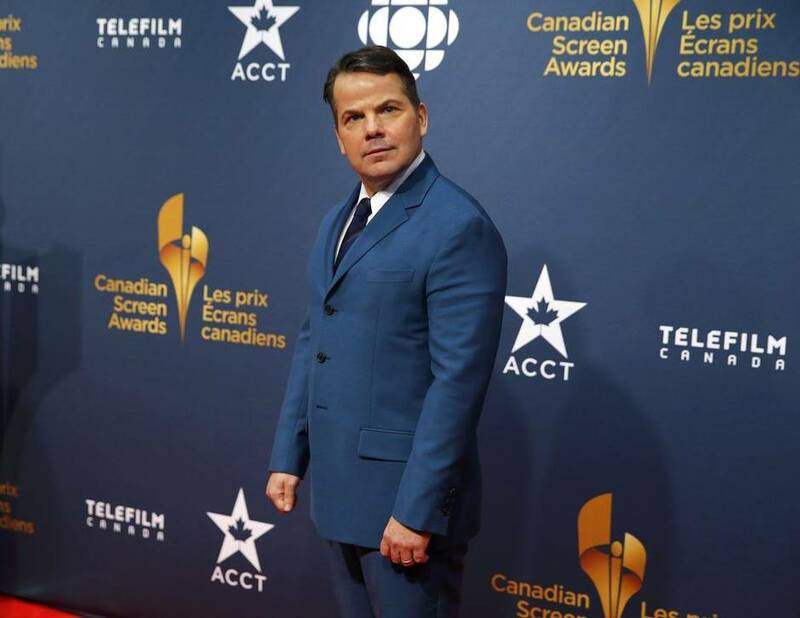 The speeches largely lacked the inspirational fervour of last week’s Oscars tributes to various marginal causes, but maybe that’s because the Canadian TV and film industry itself is a bit of a marginal cause. Winners frequently tipped their hat to government or industry funding sources, without which their shows or films might not exist. So, along with family and friends, winners thanked the Canadian Media Fund, the Ontario Media Development Corporation, the Bell Media Fund, the Rogers Fund, and the Quebec government agency SODEC. When Mommy producer Nancy Grant accepted the award for best picture, her first shout-out was to Telefilm Canada. Across the border, the big controversy this year was over the reputed failure of the Academy of Motion Picture Arts and Sciences to either nominate a non-white actor or, as some saw it, properly honour the Martin Luther King Jr. drama Selma. Against that backdrop, it was hard not to notice a similar lack of diversity among nominees up here. Yes, there were a few (including those associated with Albert Shim’s South Korean drama In Her Place) but to judge by this year’s awards, Canadian film and television has a long way to go before our screens fully reflect the reality of the country. Called upon to introduce best picture nominee Cast No Shadow, for which he wrote the screenplay, Joel Thomas Hynes gave an electric description, but we couldn’t help wonder if part of his energy came from the gum he appeared to be chewing through his time at the microphone. The bad: They’re called the Canadian Screen Awards, because they’re Canadian. Did we mention they’re Canadian? Earlier, there was a bit – but only a bit – of nationalistic chest-thumping. Kiefer Sutherland told the crowd: “We are Canadians, and we have made great films and television. So, even just for a moment, let’s celebrate that.” A montage followed, which blended archival news footage with old film clips (Goin’ Down the Road, The Sweet Hereafter) and new (this year’s CSA best picture nominees), as well as TV shows such as The Beachcombers, Corner Gas, The Book of Negroes, Trailer Park Boys, and Kids in the Hall. It felt like an incoherent jumble. But it was Canadian. For a number of years now, the Academy of Canadian Cinema and Television has given out a Golden Reel Award for the Canadian feature film that tops the domestic office. 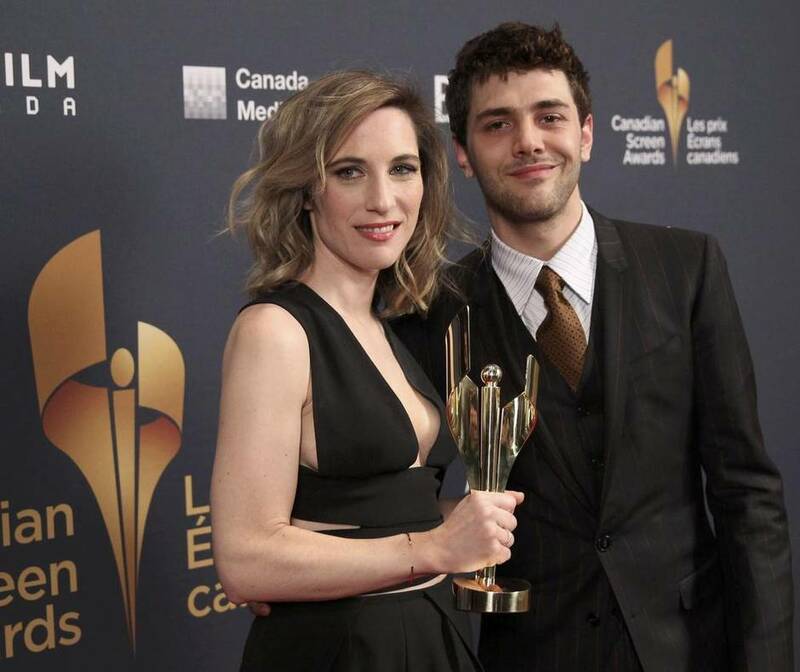 This year, they created the Golden Screen Award for the two Canadian TV shows – reality and scripted drama – that pull the highest viewership. You’d think the identity of the winners would be easily determined – ratings are, after all, published every week – but that didn’t prevent Missy Peregrym, star of Rookie Blue, from being overcome by emotion while accepting her show’s statuette. Andrea Martin closed the show by introducing a video she said had “gone viral” on YouTube during the broadcast: a remix of her show-opening red carpet lady-part-exposing indignity. Alas, so far the video is nowhere to be seen online, which actually seems a missed opportunity for the CSAs. At least that would give people something to talk about.